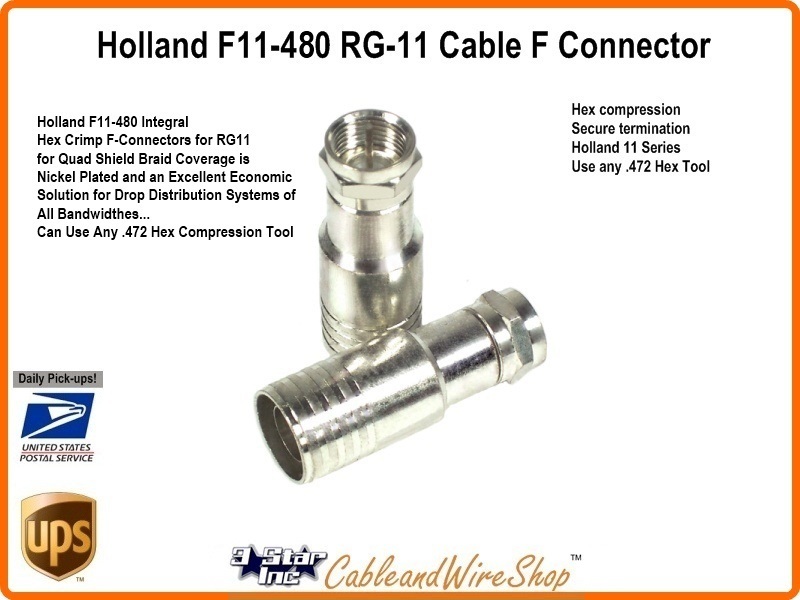 (1 each/unit) For use on Quad-Shield Braid Coaxial cable, Nickel Plated and an Excellent Economic Solution for Drop Distribution Systems of all Bandwidthes when only a few are needed. Hex Crimper Tools (.472) are cheap and plentiful. Note: This connector is a modern manufacture of an old design. We started using this design 30 years ago, and we still use it today. Though the Manufacturer rates it for Quad, we have used them on 90 and 95% Braid Shield Coaxial Cable as well; with no difficulties.